One of my favorite Finnish design blogs at the moment is weekday carnival by photographer, stylist and product designer Riikka Kantinkoski. A while ago she posted a free to print template for geometric paper shapes. While her powdery pastel color theme is very purty, I’m more into KAPOW!!! colors myself. My printer also entirely messed up the colors, so I decided to use the template on some colorful craft paper instead. Paper (any paper really, I’m sure these would look pretty made of patterned paper as well), the thicker the paper, the sturdier the shape. 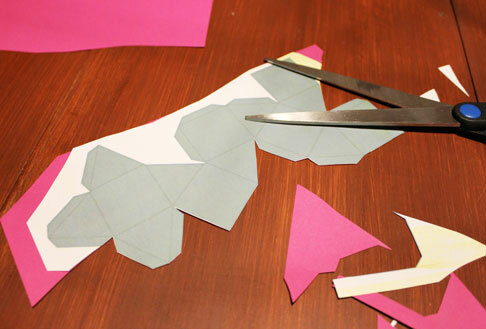 Now, print out your shape template, cut around it, stick it to your paper (loosely tape it in place in 2-3 spots so it doesn’t move around), cut along the lines through both paper and template. Remove the template and start folding away. Don’t throw away the template, you might want to use it again and it’s nice to have as a folding guide. I stuck strips of double sided tape to all the sides that didn’t have a glue flap (kinda backwards I know, but it all comes to the same result). 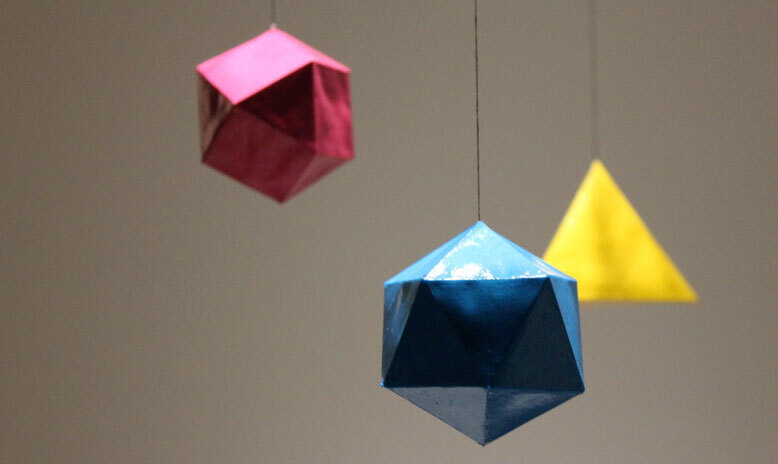 I wanted to hang my shapes, so before I started sticking the sides together I attached a piece a string to the inside. (no picture, sorry). The last last flap was a bit hard to get to stick, so I used the length of a needle to push it in place through one of the corners. After that, all that was left to do was to add a bit of shine, let it dry and repeat until I liked the result. 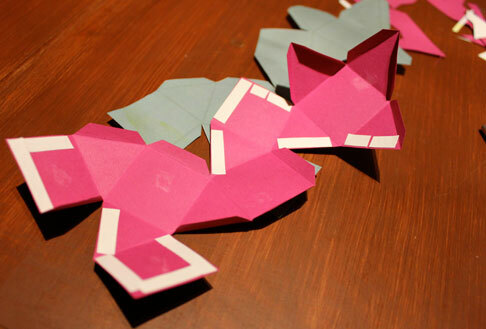 I am already getting ideas on how to use these for other projects… so stay tuned and start making your own shapes!